A loss hurts. Surrender hurts more. What happened at Old Trafford was embarrassing. Indian players not only embarrassed themselves but they let their fans down as well. Going 2-1 down after taking a lead in the series is fine but what surprises me is the way we have performed in the last two Tests. The lack of fight is baffling. 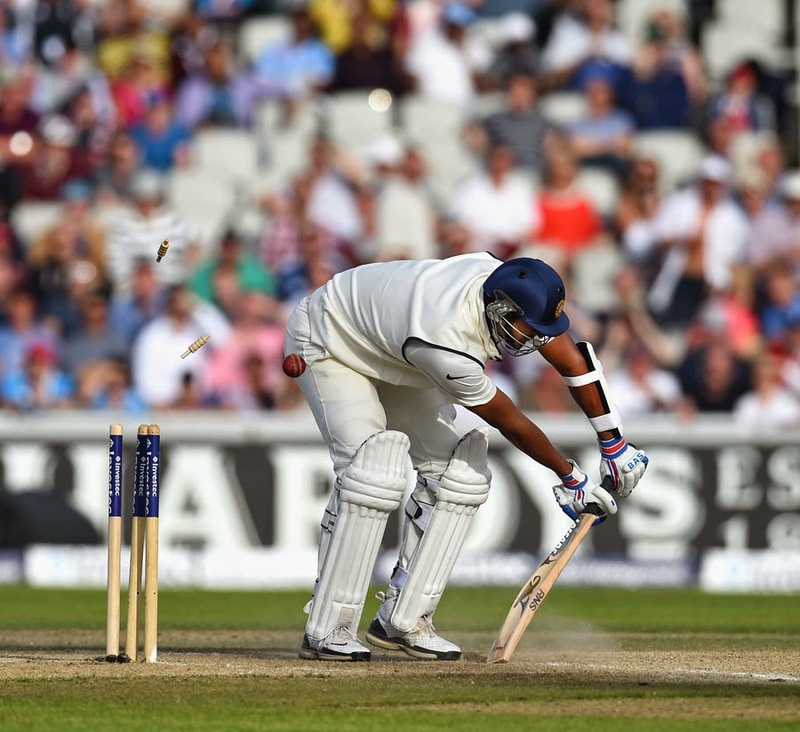 It's now three innings in a row India have gone without reaching 200. Our performance in Southampton and Manchester is almost at par with 2011 series if not worse than that. Pathetic is the right word to describe this. When India landed in England, all our batting hopes were rested on Virat Kohli and Cheteshwar Pujara. We were expecting at least 5 hundreds between them in this 5 match series. And guess what? 4 Tests have gone and not a single hundred between them. Pujara has gone 14 innings without a Test hundred, Kohli 8. Pujara averages 25.87 in this series, Kohli 13.50. Sorry, that’s not 'world-class'. They say it’s a lean patch. With every passing innings, this lean patch has only extended. Test cricket requires discipline. Test cricket requires dedication. Both these qualities are missing in Pujara's game who is famous for scoring daddy hundreds. The most frustrating thing is that he is throwing it away after getting set. Look at Kohli's mode of dismissals. Repeating same mistakes, over and over again. He hasn't even managed to reach double-digit score in 5 out of his 8 knocks, which includes two ducks. And this is a big concern. It makes you think. It makes you doubt their abilities. Are they good enough? Can we trust them in tough batting conditions? This England tour was a perfect opportunity for them to create their own course to legacy. Sadly, they have only disappointed us. I wonder what's the role of support staff especially Duncan Fletcher. Without doubt, he is the most experienced person in that dressing room and is very well aware of the English conditions and yet Indian team is on the verge of losing second consecutive series in England under him. Surely, he can have a word or two with these so called 'star batsmen'? If losing a rain-hit Test match inside 3 days is a sign of 'progress' then I don’t know what to say. It appears as if they don’t even care anymore. Just think of how many Test matches has Dhoni let drift in recent times because of his stubbornness? Or as they say 'instinct'? It raises a valid question – was that Lord’s win a fluke, a 'lottery'? Looks like Dhoni hasn't learned a lesson from the past or maybe he doesn't want to. His instinct is more important to him. Sorry, but you can't win Test matches consistently against a good side with this gambling mindset. Faith is the most important thing for a fan and I think we have seen enough of Dhoni at the Test level. No matter what happens in the next Test, Dhoni has to go.